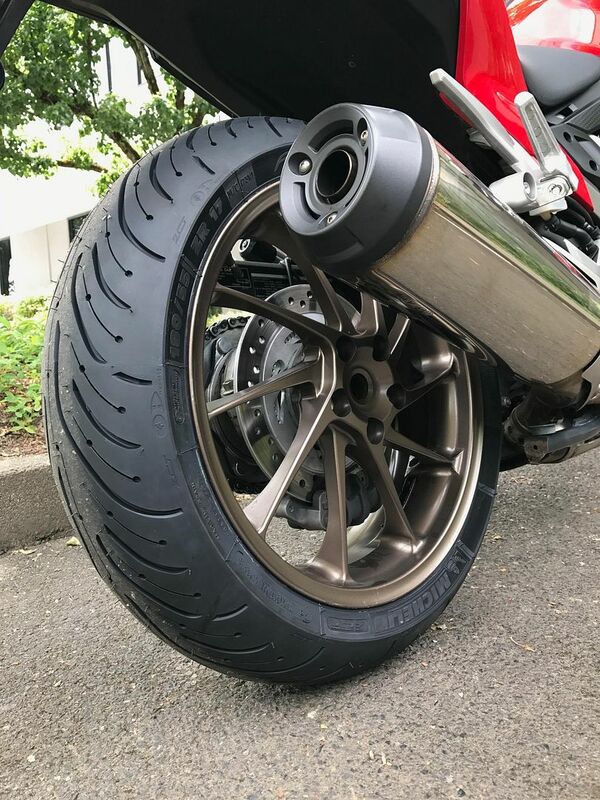 what tires you running on your sport bike? What tires are you running and like on your sportbike? My gut default would be to put on a set of PR4's, as I loved those on sport touring bikes, just checking to make sure I'm not missing out on something better? Dual compound would be my preference if possible. 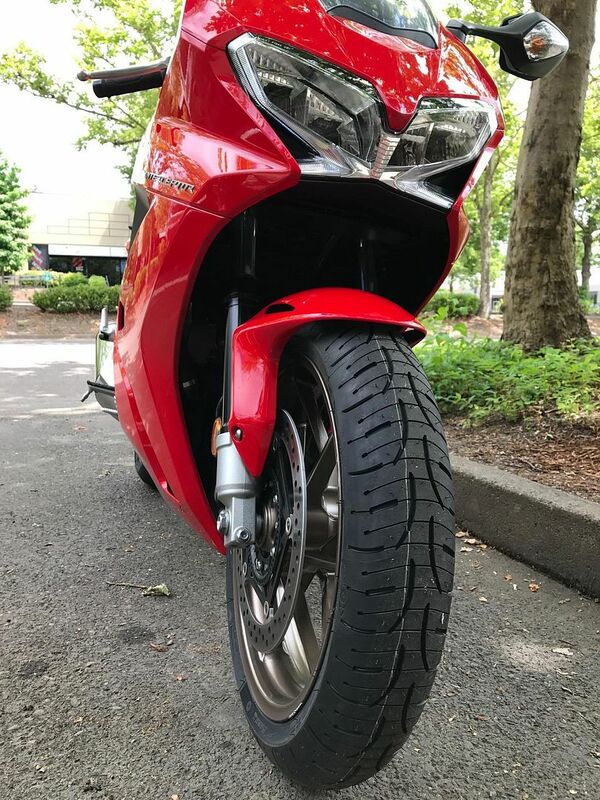 Re: what tires you running on your sport bike? I will bite since I plan on be trying out a new (for me) brand. The consensus on this forum seems to be Michelin PR4 or Pirelli Angel GT. I have been using PR3's and PR4's for past 6 years. Based on a number of magazine reviews and just wanting to try something different, my next set of tires will be the Dunlop Roadsmart III. The claim from Dunlop is that these tires have longer life and "maintain performance over time", using the PR4 as their benchmark (e.g., http://www.motorcyclistonline.com/dunlop-roadsmart-iii-motorcycle-tire-review#page-2). So what did you get for a bike? I am testing some of the new Michelin RS Powers for Rider magazine and so far on my ZX-10 I love them!! Stick like snot, great turn in and lean angle. Other reviews show them to be better in the wet than the Pilot Powers they replaced, even though there is little in the way of tread. I quit worrying about mileage on my sport tires, but i would surmise they are comparable to the much touted Dunlop Q3's. Price is not bad either. Isn't it slick as snot? Sorry Ben if I didn't comment some other a@#$ would have. So what did you get for a bike? 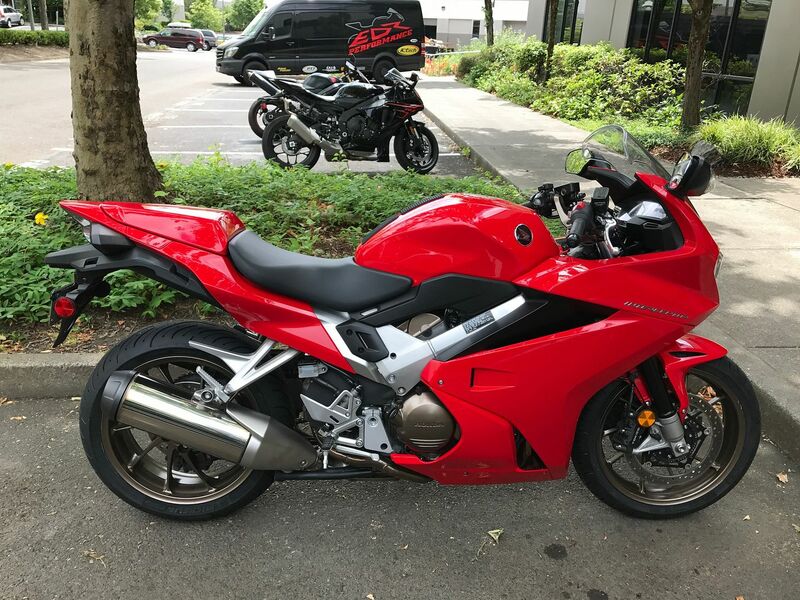 Jay bought a 2014 VFR800. I think I am going to buy the same bike for Jami tomorrow and start an oil thread. And I'm gonna run Michelins on it. But which which ones smart azz? The PR4's or the Pilot Power 2CT? Thanks for the info on the RS Powers ZXT, I'll check em out! Thx TC, ya the PR4's are awesome on the C14, that's what I ran on my ZG, but that also takes into account a heavier bike in the Connie and more straight line riding for distance trips, I agree for that they are awesome! 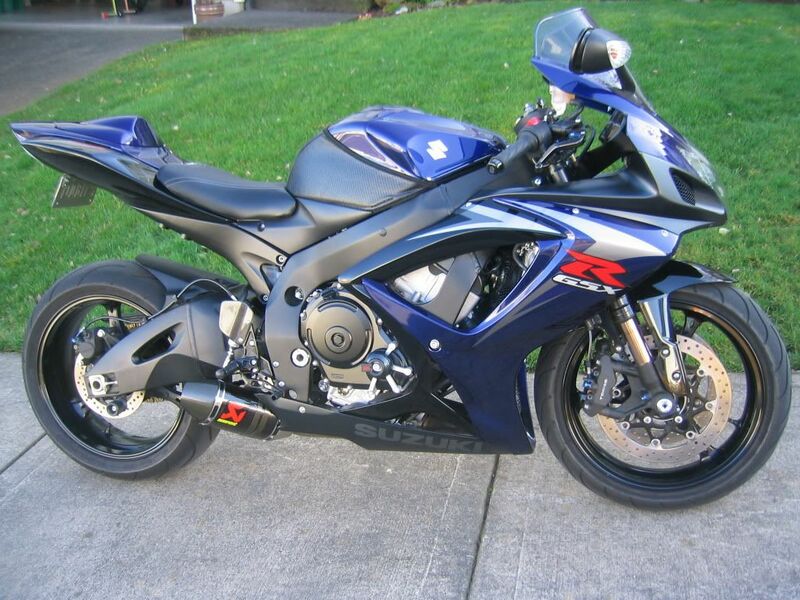 Interested in for lighter sportbikes what other options folks are using? Well if you were a perpetually dehydrated high functioning alcoholic like me, you would find your snot is as god as Gorilla Glue some times. I just run the Michelin Pilot Powers on my street sport bikes. Cheap, predictable, good edge grip and they last about 3-3500 on the rear even on a 1000. I ran the same as Roy on my Superhawk. Power one or power pure at the track. I do love getting new rubber!! Great choice in tire. Nice bike Jay! about 32 pounds cold should be good for aggressive riding. I ran between 30 and 32 on the track and the P-one never let me down. Forgive me- a little hijacking ZG; are you still balancing tires with Dyno beads? Not on any of the current bikes DZ, did that for the gold ZG wheels cause didn't want to ugly them up with wheel weights. Thanks ZG I live in a rural setting; not many choices to have new tires mounted. One independent shop within 30 miles only uses dyna beads for balancing. I read the thread where beads were discussed. Nothing bad was said but wondered if you were continuing with the beads.